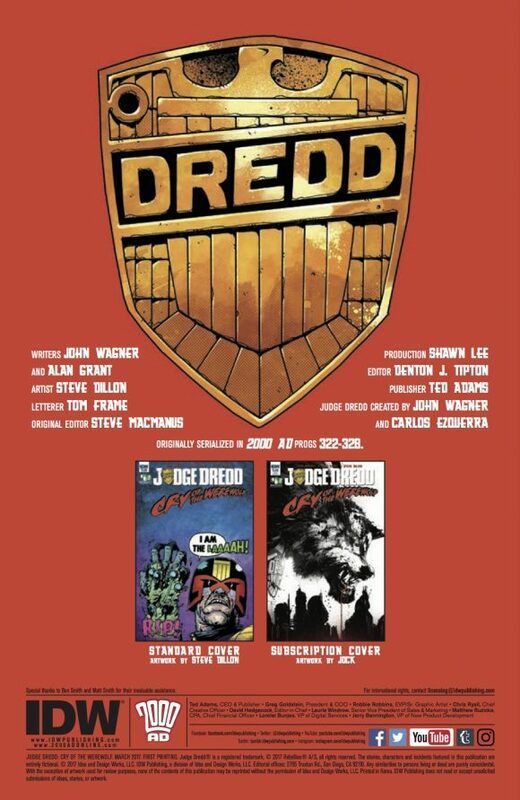 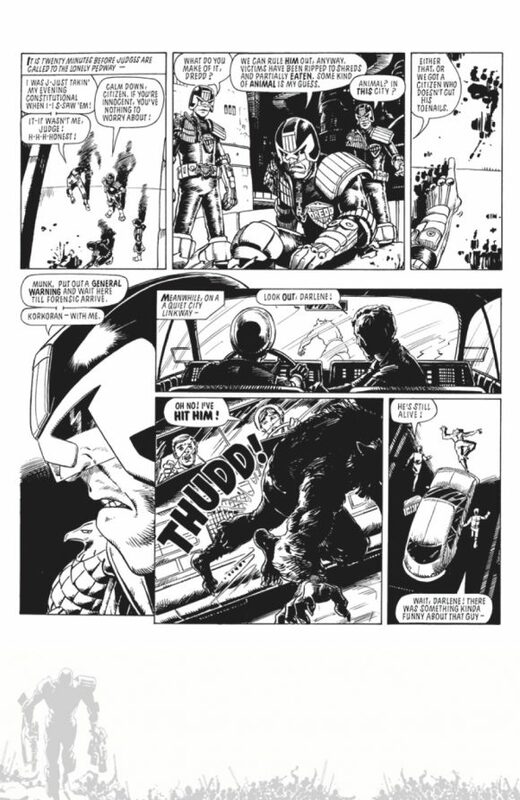 On 3/22, IDW is publishing a Judge Dredd: Deviations one-shot by John McCrea and Mike Spicer. 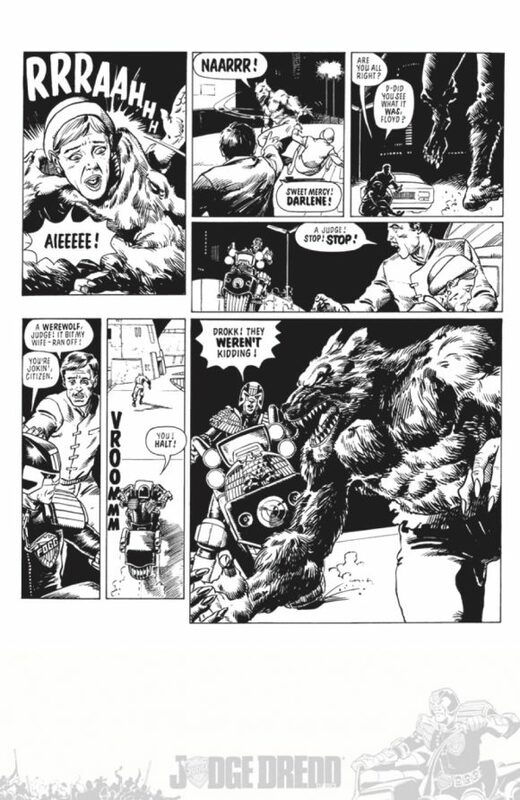 (Deviations is basically IDW’s version of What If?.) 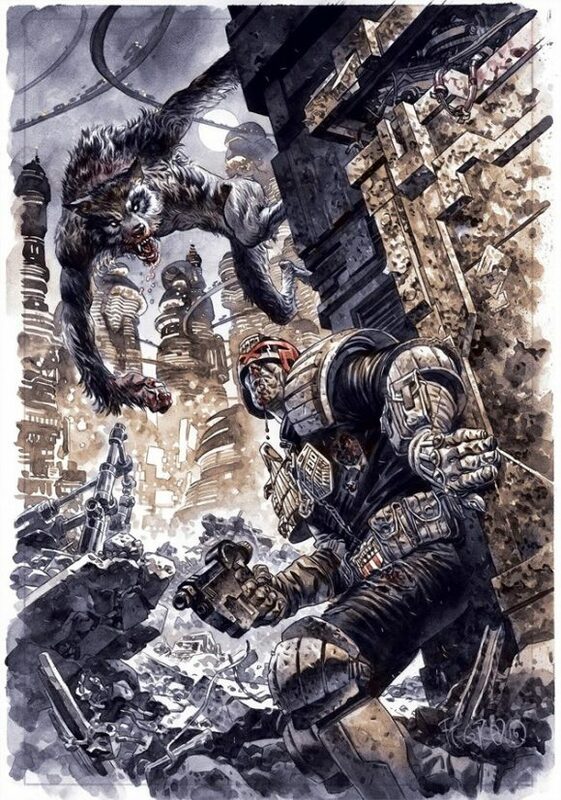 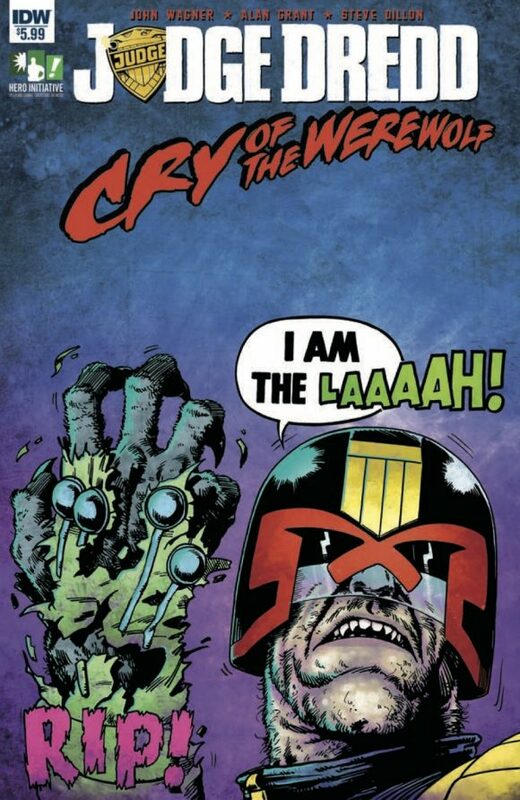 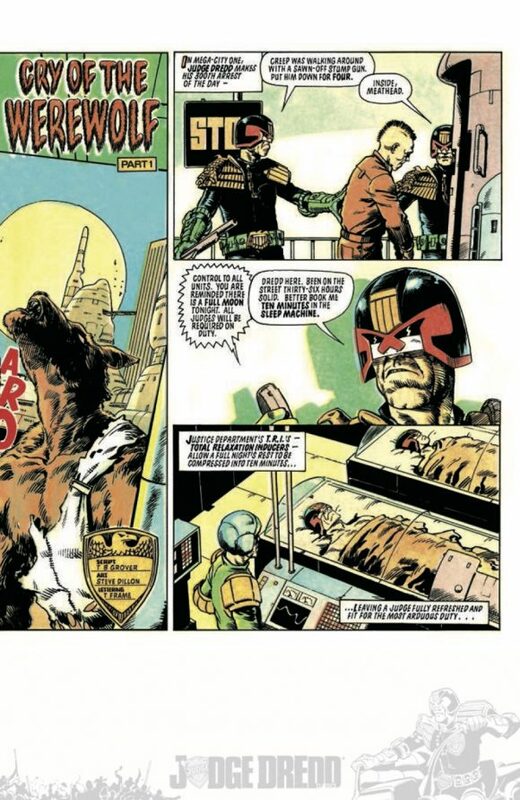 The premise is what would happen if Mega-City One’s greatest protector never recovered from becoming a werewolf — as happened in the classic Cry of the Werewolf storyline by John Wagner, Alan Grant and the late Steve Dillon, who died last fall. 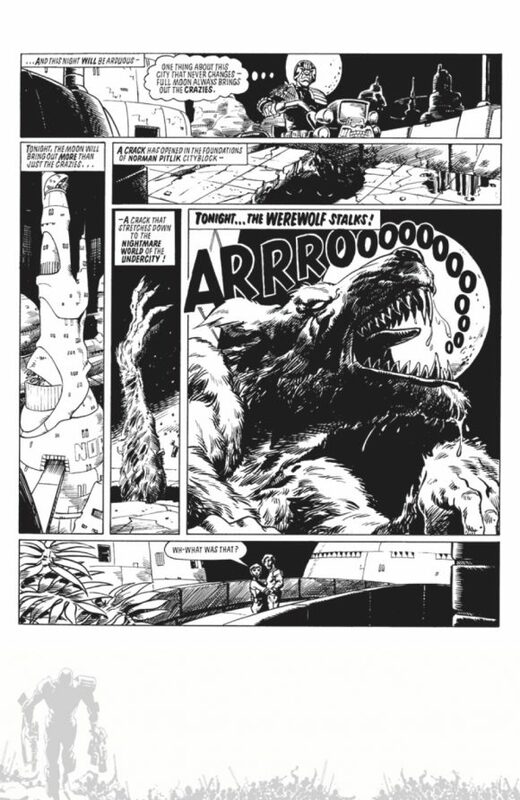 But in addition to that release, IDW is reprinting Cry of the Werewolf itself, including new tribute pin-ups by artists like Duncan Fegredo, David Lloyd, Phil Hester and others. 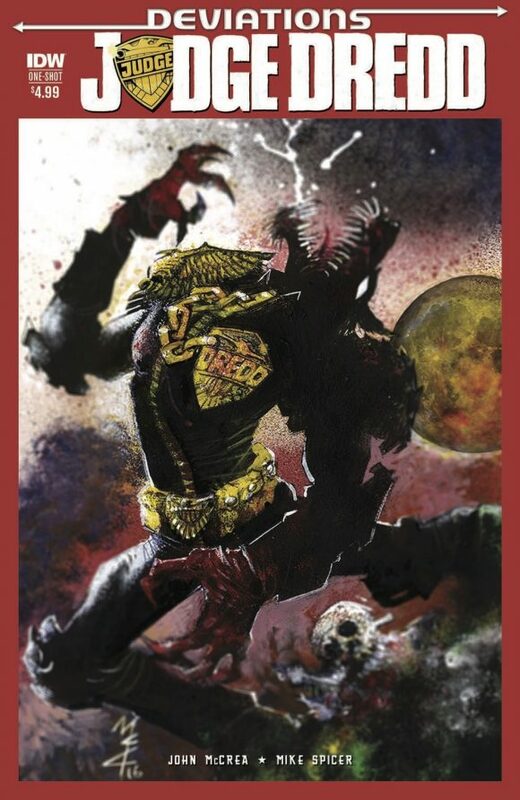 There’s also a special introduction by Dillon’s brother, Glyn and a portion of the proceeds will be donated to the Hero Initiative in Dillon’s name.